Engage PR | Is personal liability the way to tighten insolvency issues? Is personal liability the way to tighten insolvency issues? Recently-published UK government proposals to tighten up insolvency laws and address the business practice of ‘phoenixing’ have put a fresh spotlight on a notoriously tricky area of financial regulation. Under the plans, company directors who dissolve their business to circumvent obligations such as staff payments and pension commitments could face substantial fines. The legislative backdrop to this issue has repeatedly changed over the past 20 years as stakeholders ranging from HMRC and other government departments to private pension schemes have sought to protect their interests. Amid these changes, the issues of what should be done to safeguard creditors and to deal with directors who act recklessly have been the focus of recurring debate. Some promote the view that an insolvency in such circumstances should automatically mean a fixed-term directorial ban. But is that too draconian if, say, an individual director had no active role in the factors which caused the firm to go bust, or is a director of multiple other companies which are trading profitably and duly paying their taxes? A recent HMRC consultation document rekindled the concept of company directors who have previously been involved in insolvencies lodging a security deposit, calculated on anticipated turnover, in an attempt to discourage bad insolvency practice. That in turn prompted the idea that perhaps every company should make a deposit – again based on turnover or profit – into a ringfenced account. HMRC’s paper on ‘phoenixing’ – in which directors dissolve their business, buy the assets cheaply and start again under a new name, leaving creditors in their wake – has been assessed by bodies such as the Institute of Chartered Accountants of Scotland (ICAS). It suggested exploring the potential to transfer corporation tax liability from the old company to the new one, again as a disincentive. In Norway, when a company goes bust, payroll deductions are a personal liability of the directors. It’s not difficult to guess which bills take priority for payment at the end of each month or quarter. The principle of such accountability reflects other areas of modern-day corporate responsibility: personal liability. Until the issue becomes personal, to some extent, people will always be tempted to point to other sources of fault or seek a way to avoid paying their dues. Of course, as a principle, that may have its limits – a director of a large corporation owing £100million in taxes is not going to be liable for that sort of figure; it would have to be a solution of scale. If this is to be the direction of legislative travel, the key rule for businesses is to address the risk of insolvency and the associated issues that contribute to it. Despite the daily pressures, smaller companies in particular should be highly vigilant about their cash flow and trading. It’s not unusual for businesses to use money that will ultimately be used to settle their VAT bill as part of their everyday cash activities. That’s all well and good, if there’s a robust financial plan behind it. If you’re in effect using other people’s money, without a sustainable strategy in place, it can be very difficult to extricate yourself from problems when they materialise. More broadly, perhaps it’s time for the introduction of fit-and-proper or financial backing tests for prospective directors. At present, anyone can be a director; it’s a simple form-filling exercise. If people were required to be members of a professional institution and to pursue development programmes, it would not only make them better directors – it would make clear the risks and responsibilities, as well as the rewards. It’s important to encourage people into the world of business, but it’s equally important to do so responsibly. Michael Reid, co-founder and managing partner at Meston Reid & Co, is one of Scotland’s leading insolvency experts. He has experience of advising businesses of all types across many industry sectors. 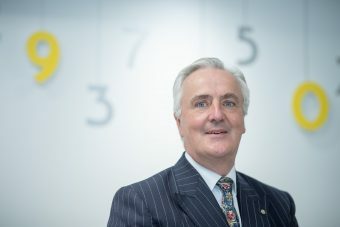 Michael holds an insolvency permit and has acted as principal in all types of formal corporate and personal insolvencies including acting as liquidator, receiver and administrator. He has provided support and specialist recovery advice to numerous businesses experiencing financial difficulty.